There are ways to increase our horse’s bravery and balance by taking our training outside of the ring. One of the great things about riding outside is facing the unexpected. Seeing a bird flying overhead, a gust of wind blowing the grass, or squirrels rustling in the trees. 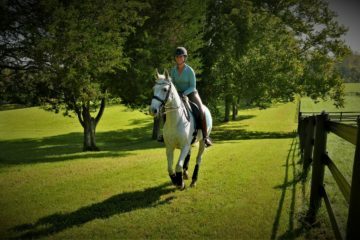 It doesn’t seem like much at first, but riders often totally overlook the need to desensitize their horse to these everyday elements. 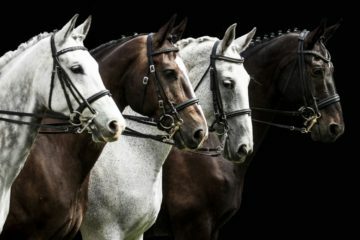 If we are always stuck riding in an indoor or enclosed arena, we don’t run into and stand our ground against these perceived monsters; this means your horse might have their first real outside experience at a show, which is less than ideal. By riding outside and exposing our horses to the sights and sounds of the great outdoors, riders learn to anticipate and react to situations when/where their horse may spook, how to overcome and move on from distractions, and to build trust and confidence in their partnership. The other wonderful benefit of riding outside of the sandbox is the various terrain. Whether you ride on grass, sand, dirt trails, or even sometimes gravel, your horse must learn to balance and develop body awareness. Riding up or down hills on various grades is very different from riding in the arena. Maintaining balance, rhythm, and straightness outdoors is just as important as in the ring. 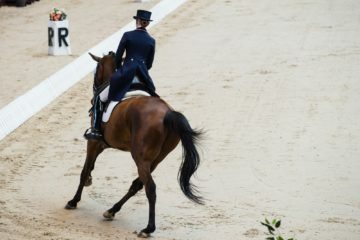 Riding up and down hills builds strength in the horse’s hind end, over the back and topline. 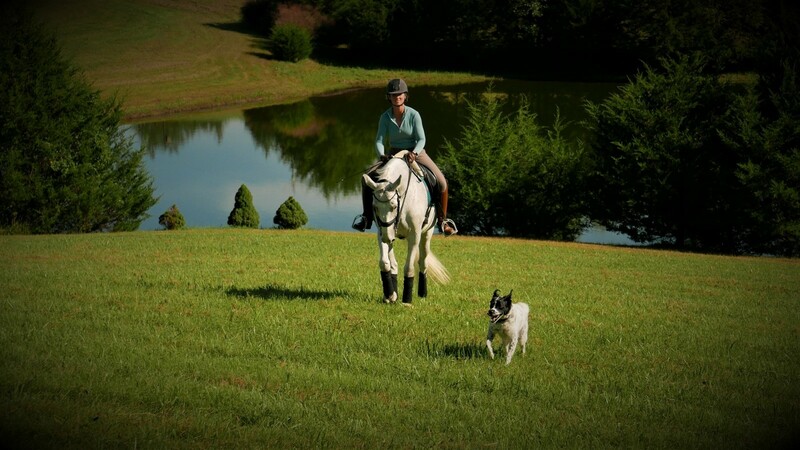 Various terrain also improves your horse’s dexterity, balance, and confidence. And, as mentioned in my other posts, these various grades can also serve as training aids to make schooling certain movements easier or more challenging, depending on your goals. This variety can also improve mental clarity for both horse and rider. A change of scenery can make a world of difference to your horse. A challenging movement may seem much easier now in a different environment. Sometimes we just need to change the situation in which we ask our horse a question to get the answer we are looking for. 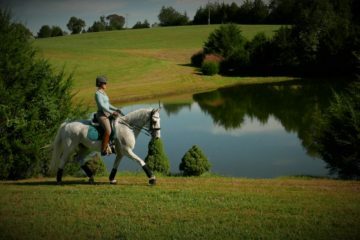 Remember to look around, take a deep deep breath, and enjoy the great outdoors with your horse! Have Fun!